Recycle unwanted electronics, TVs, monitors, and even wood! 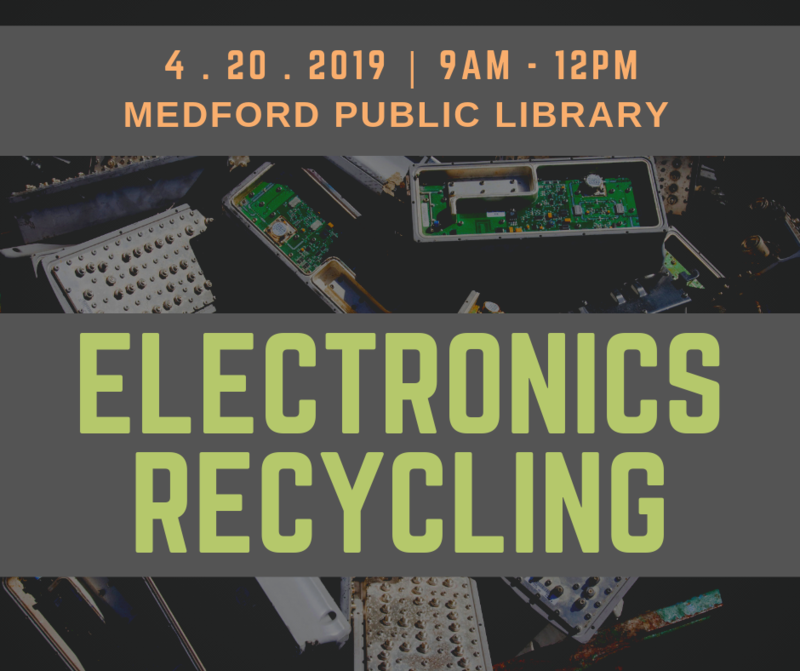 In addition to the below fees payable to the recycling company, a donation of $5 to the Friends of the Medford Public Library is suggested. Hello and welcome to the Friends of the Medford Public Library! We are a group of volunteers who love books, our library, and our community, and we're happy you're here! Our primary purpose is to raise funds to support library programs and activities and to act as a voice of support for the library and its services. Check out our About pages for more information on us and our operations. Please feel free to drop us a note at friends@friendsofmedfordlibrary.org. Find us on Facebook too (see below). Thank you and see you at the library!